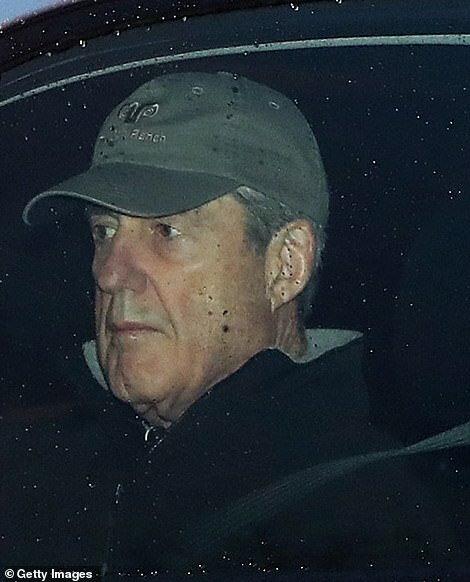 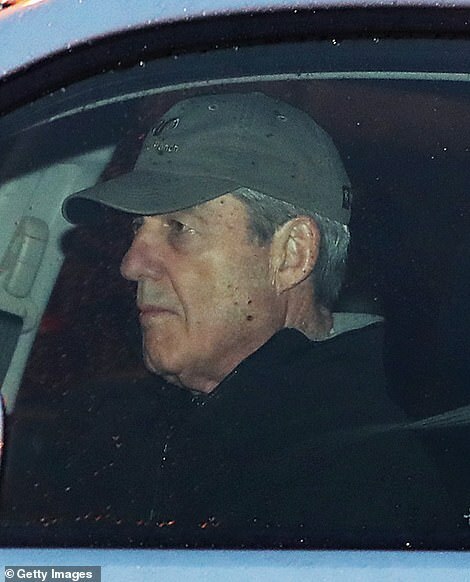 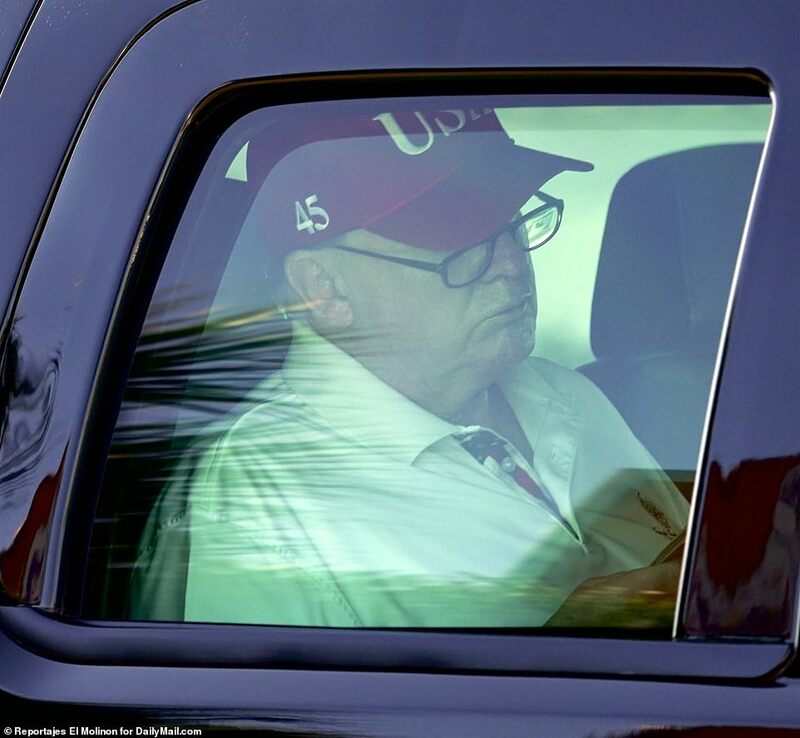 President Donald Trump has departed Mar-a-Lago for his golf course on Saturday morning, appearing carefree but remaining silent on Twitter after special counsel Robert Mueller filed his final report. 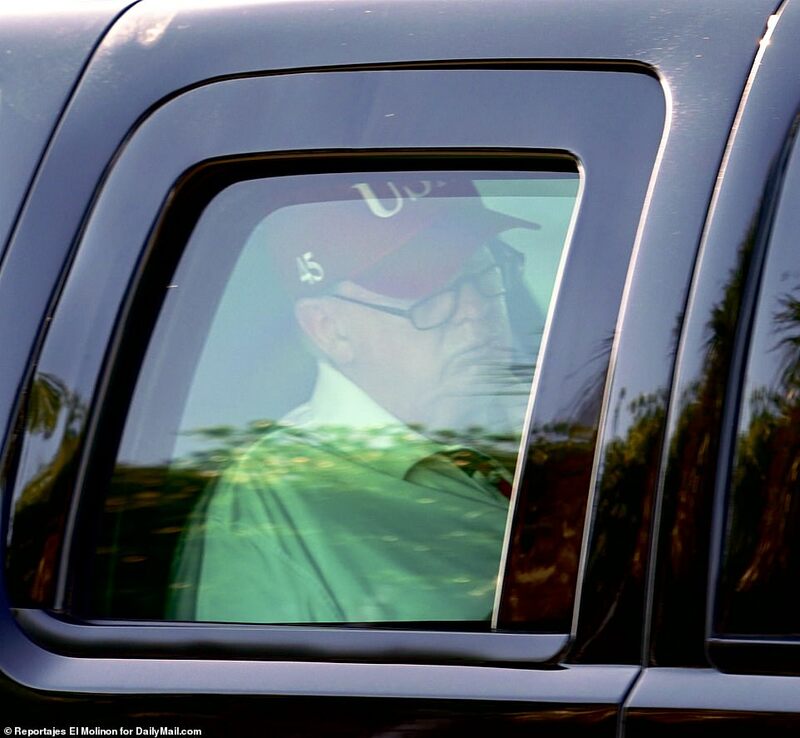 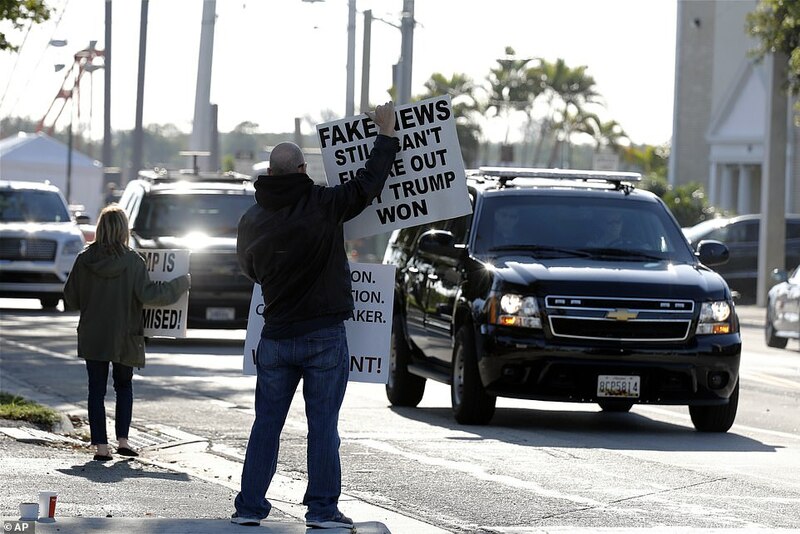 Trump’s motorcade arrived at Trump International Golf Club in West Palm Beach, Florida shortly after 9am on Saturday, with sunny skies above and a forecast high of 77 degrees. 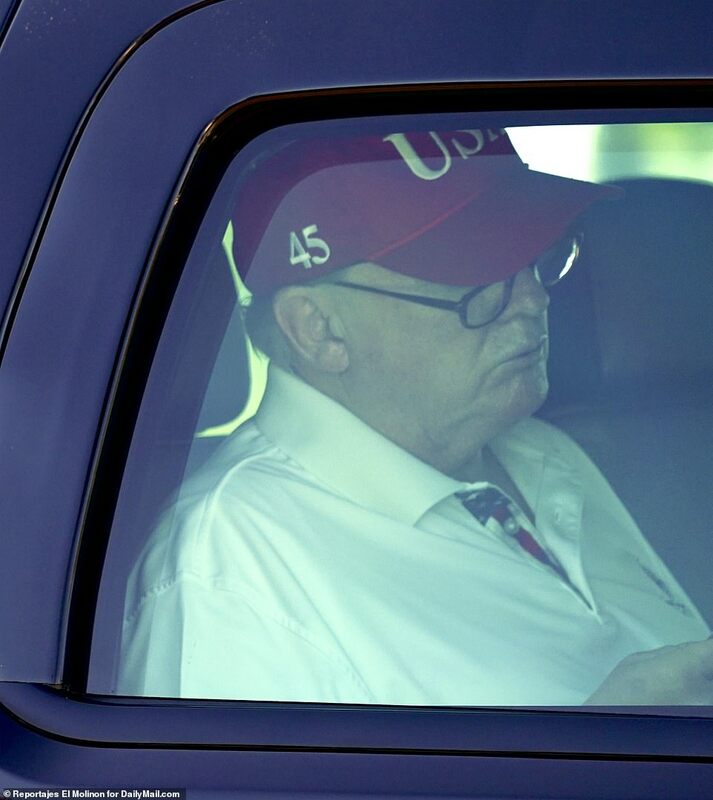 En route, he was spotted perusing a newspaper, and wearing reading glasses, a red ‘USA’ hat and white polo shirt. 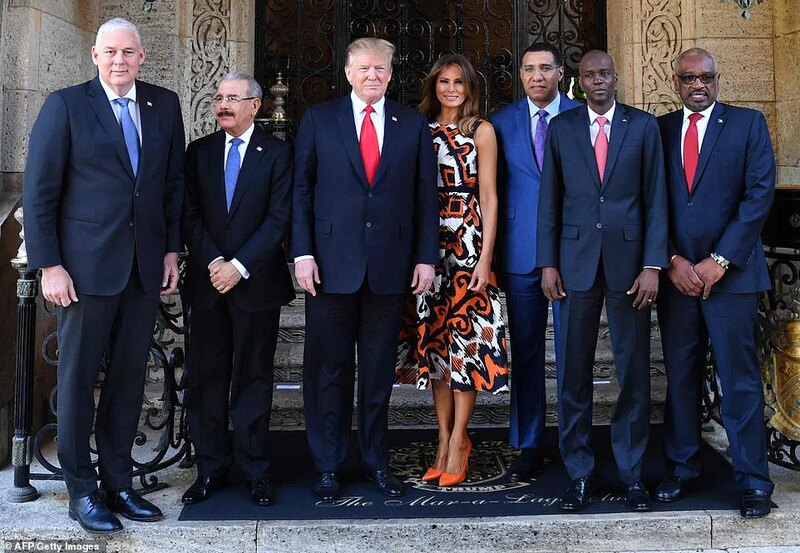 There was no word on any planned golf partners for the day. 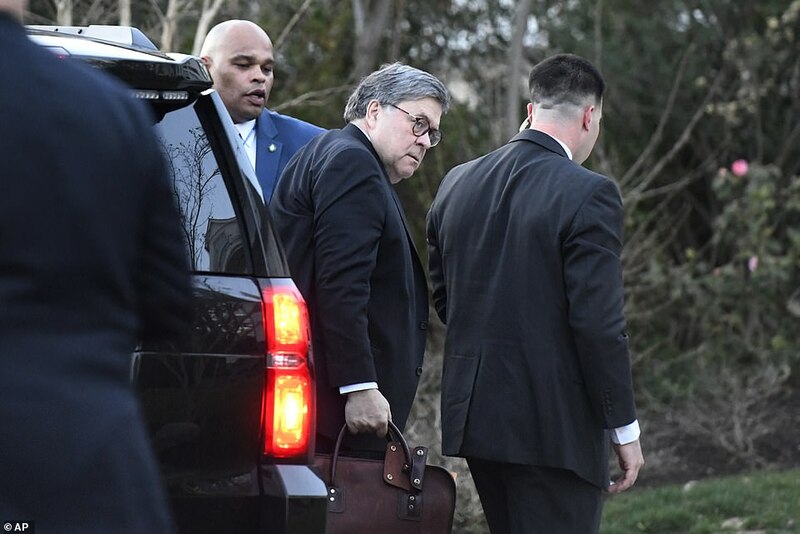 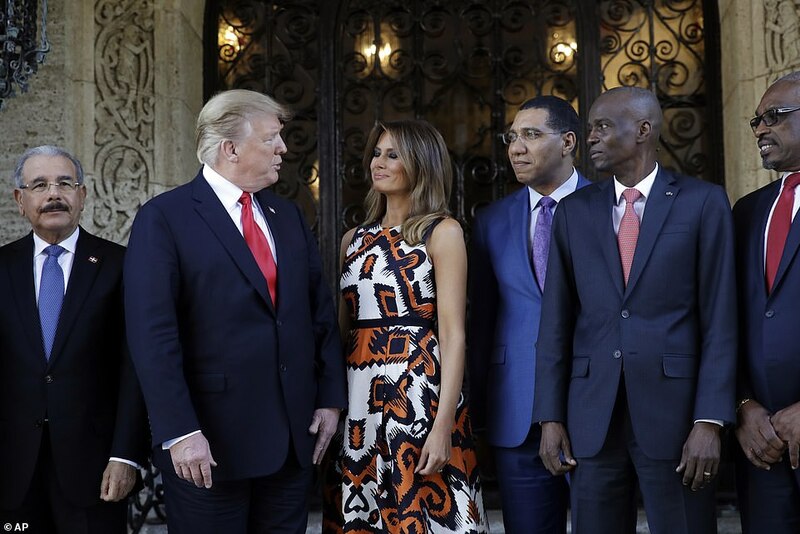 Trump had already arrived at his Florida retreat on Friday afternoon when Attorney General William Barr revealed that he had received the report.